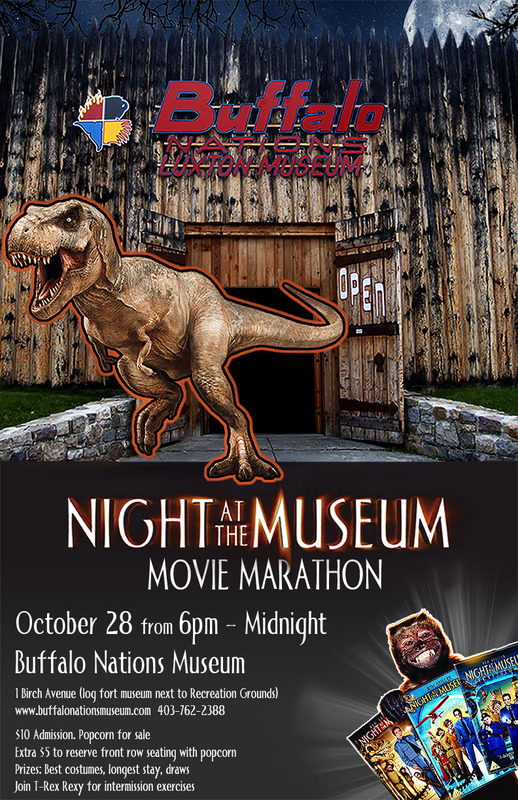 Join us at 6 pm for a Halloween themed event: Night at the Museum movie trilogy. $10 admission for the evening, see one, two or all three movies. Popcorn available! 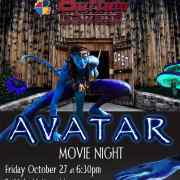 For an additional $5, call 403-762-2388 for front row reservations with large popcorn. Rexy the T-Rex intermission exercises! Prizes! Music! Lights!